To begin our experience we decided to make some charoset. 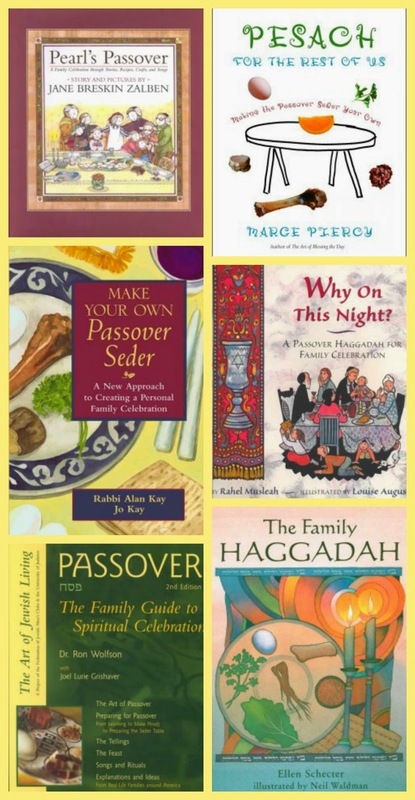 I adapted a recipe from Pesach for the Rest of Us by Marge Pieroy. Hazel helped peel the apple and measure and mix things. We used one apple, 1/4 cups chopped walnuts, 1/2 teaspoon cinnamon, a bit of sugar and 1 tablespoon of grape juice (since I didn't have red wine). We mixed it together and put it in the refrigerator. 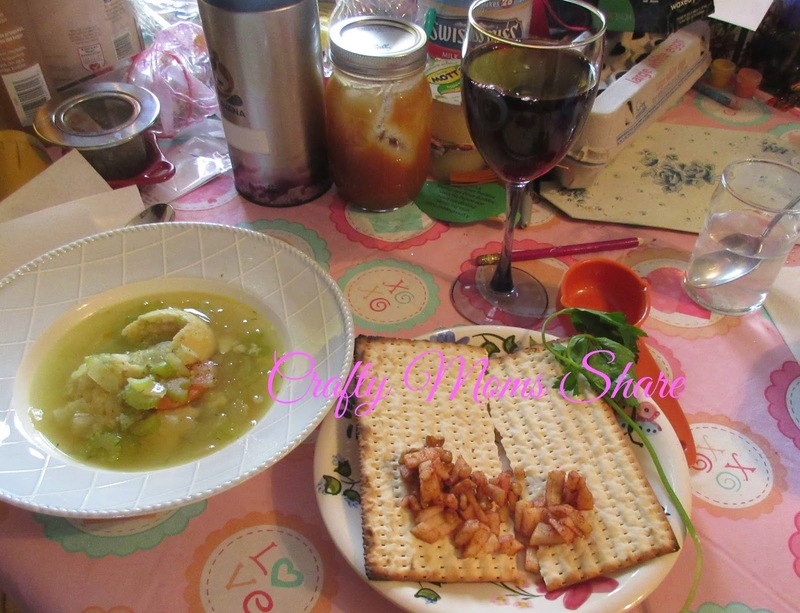 Then for dinner one night we had matzah ball soup (which I bought), matzo and charoset with grape juice and a sprig of parsley with salt water. Hazel and I dipped the parsley in the salt water and tasted it. I did not get all the other things for the celebration due to knowing we would not eat them and it would be a waste of food. After trying these things, we also decorated a glass for Elijah. 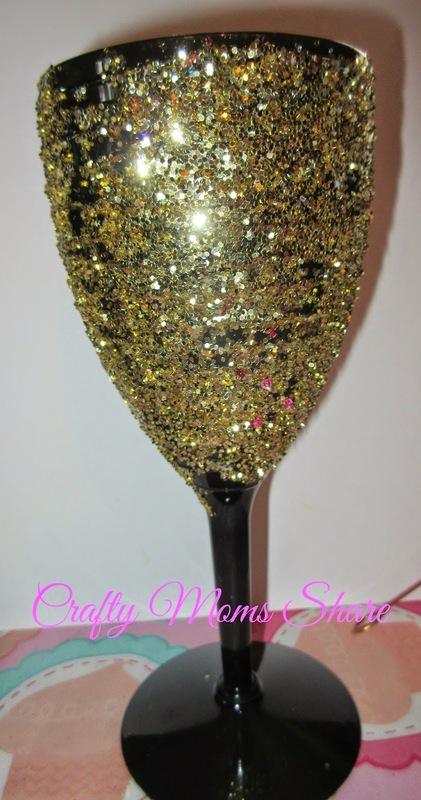 We bought a plastic goblet at the Dollar Tree and decided to make it gold with glitter. Since no one will actually drink from it, we just glued the glitter on to it. 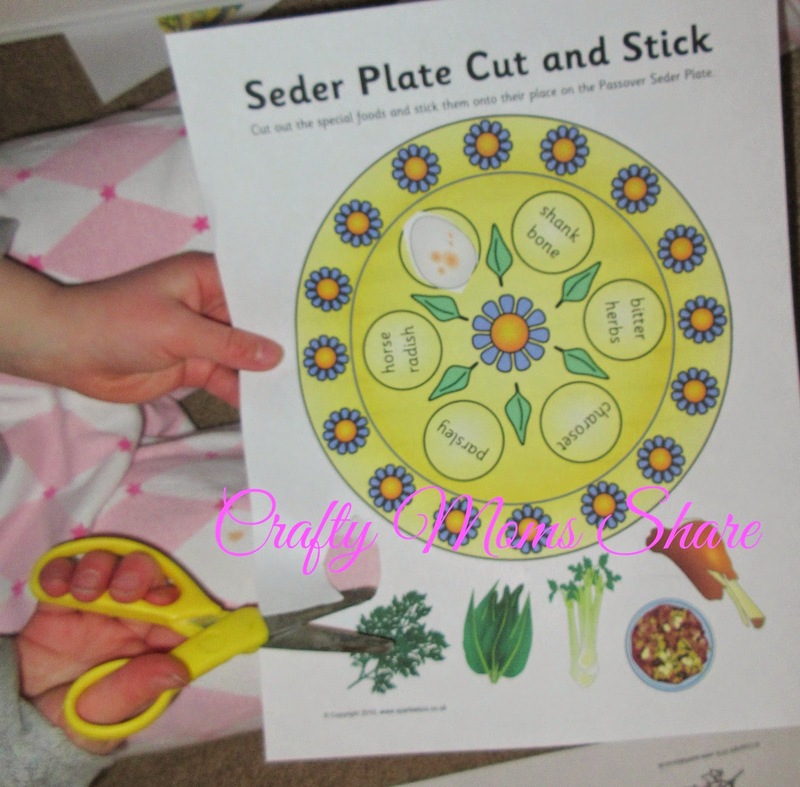 We also made a Seder Plate. We bought a plastic make-your-own plate kit and changed the picture to one I found at Education.com. The picture of the plate was the perfect size for our plate. I cut it out after Hazel colored it and then put it in the plate. 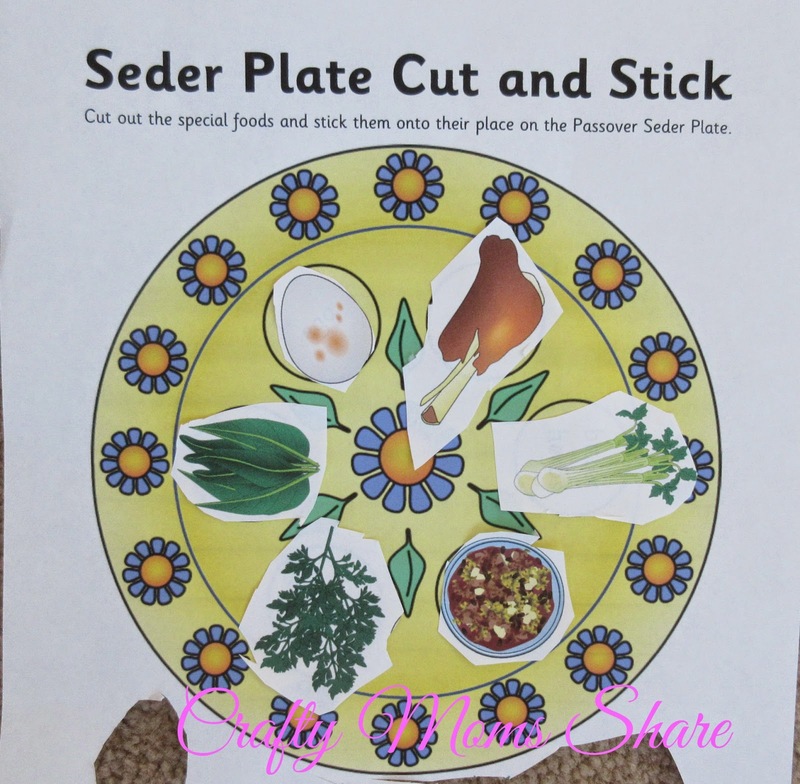 To give Hazel more of an idea of the Seder Dinner, I also found these Cut and Stick pages (4 pages: 2 in color and 2 to color in) at Sparkle Box. Hazel cut out the pictures of the food and found where to glue them on the plate. 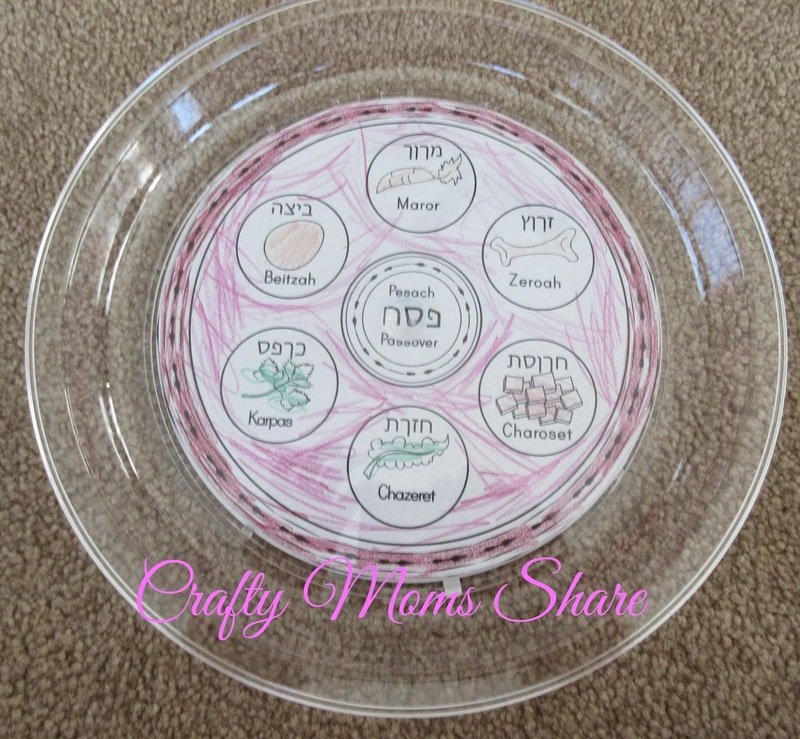 Now the items on the Seder Plate have meaning. The roasted egg represents the new life after Egypt. The lamb bone or shank bone reminds of the sacrifice the last night in Egypt (the Jewish families were told to sacrifice a lamb and mark their doors with its blood so the angel of death would skip over them). The bitter vegetable is to remind of the bitter times as slaves in Egypt. The charoset is to remember the mortar used making the bricks as slaves. The parsley is a sign of a new life. It is dipped in salt water to remember the tears of the slaves. The horseradish is to remind of the bitterness of servitude.The matzah represents the unleavened bread the freed slaves left with to escape. Preparing for a Seder Dinner is a lot of work. The days leading up to it require much cleaning including sweeping away all the crumbs and getting rid of the hametz (food made from wheat, barley or rye and a leaven or yeast and is allowed to rise). The day of there is much food preparation as well as setting the table. Needed on or near the table are a pitcher of water, a large bowl and towels for the hand washing, at least one pair of candle holders with long slender candles, bowls or cups of salt water for the dipping, three matzah under the matzah cover, an Afikomen holder, Elijah's cup, Miriam's cup, Passover wine and/or grape juice, additional bowls of the bitter herb (horseradish), parsley and charoset to pass, plus a place setting for each person with wine and water glasses and the Seder plate and pillows for everyone to lean back on. Traditionally there are a set of dishes that are only used at Passover. Why is this night different from all other nights? Why on all other nights we eat leavened products and matzah, and on this night only matzah? Why on all other nights we eat all vegetables, and on this night only bitter herbs? Why on all other nights, we don't dip our food even once, and on this night we dip twice? Why on all other nights we eat sitting or reclining, and on this night we only recline? The leader will respond to the questions (you can see answers to them here) and then usually a song will be sung. Here is a video of the suggested song in Hebrew. Next the leader will discuss the four children and their traits. The leader will tell the Passover Story. The guests will participate by following the story in the Haggadah at their spot. The Haggadah goes through the whole evening with what to say and do when. If Miriam's cup is on the table (this is a newer tradition) guests will add water to it from their glass by dipping their fingers in their water and putting it in Miriam's cup. Miriam was Moses' sister. She prophesied his birth and his role in freeing the Israelites. After another song and discussion about the important symbols from the story, it is time for the second cup of wine and a second hand washing. Then there is a blessing for the matzah and then one for the maror (charoset) and the guests make sandwiches with the small pieces of matzah and some charoset. Then it is time for the meal! After the meal the children will search for the Afikomen. Then it is broken so everyone can have a piece of it. Next the third cup of wine is blessed. This time guests will add wine/grape juice to Elijah's cup by dipping their fingers into their cup again. The leader will ask someone to open the door to let Elijah in and his song will be song. Then for the conclusion the fourth cup of wine/grape juice is blessed and drunk. This concludes the Seder dinner. 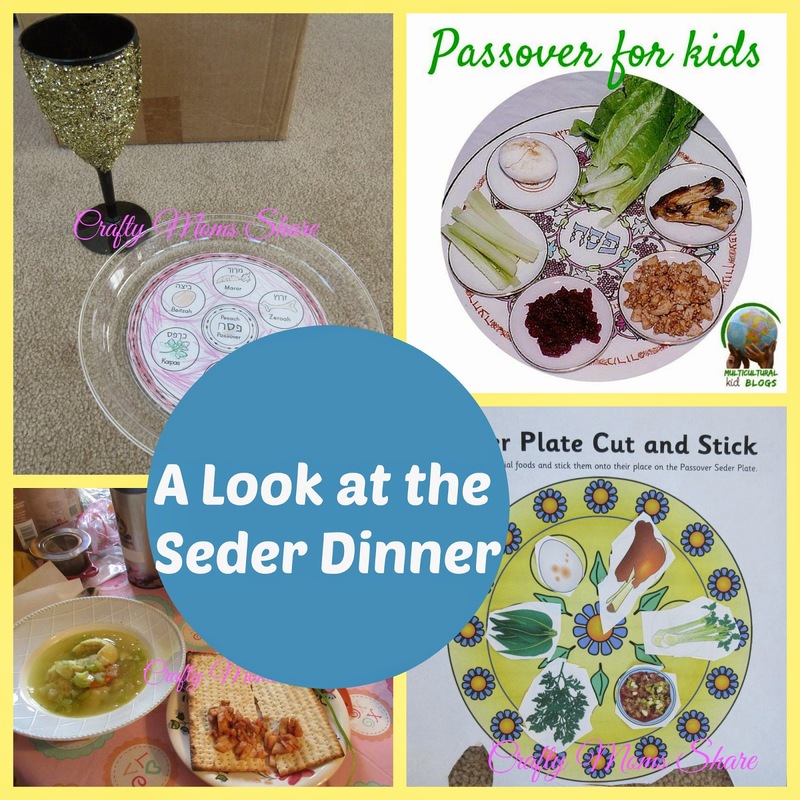 That is our small exploration of Seder Dinners for Passover. 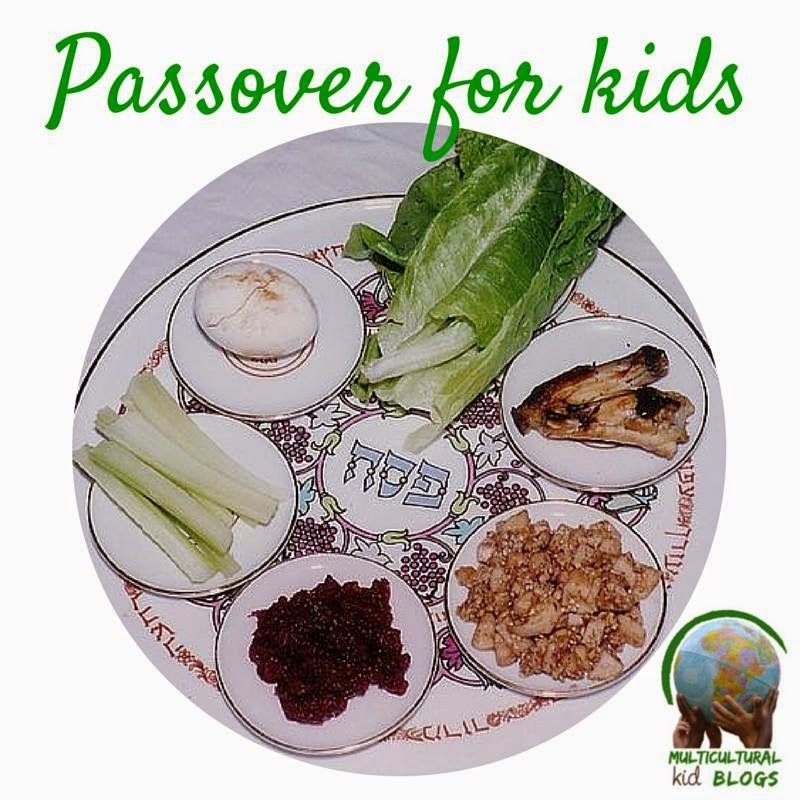 This post is part of the Multicultural Kid Blogs' Passover for Kids Blog Series. 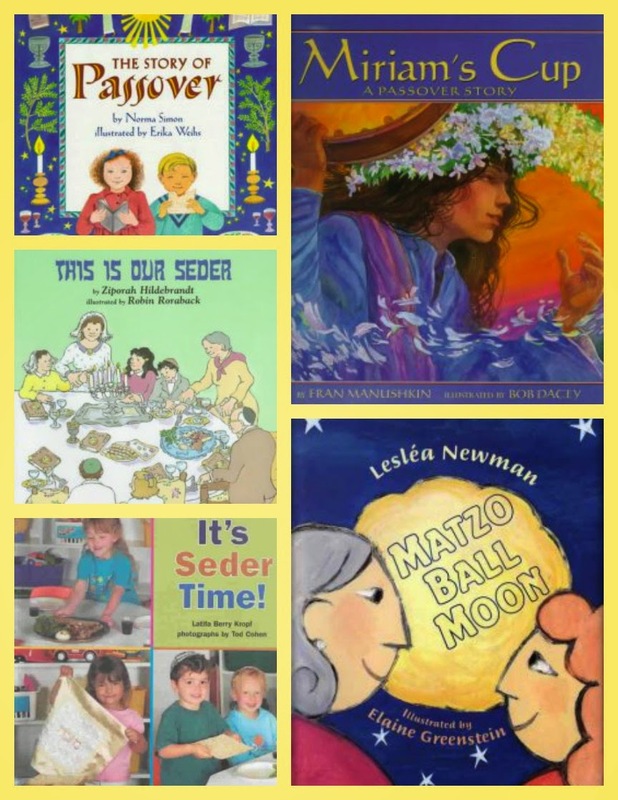 To learn more about Passover and see other ideas to celebrate and educate our children check out the entire series!